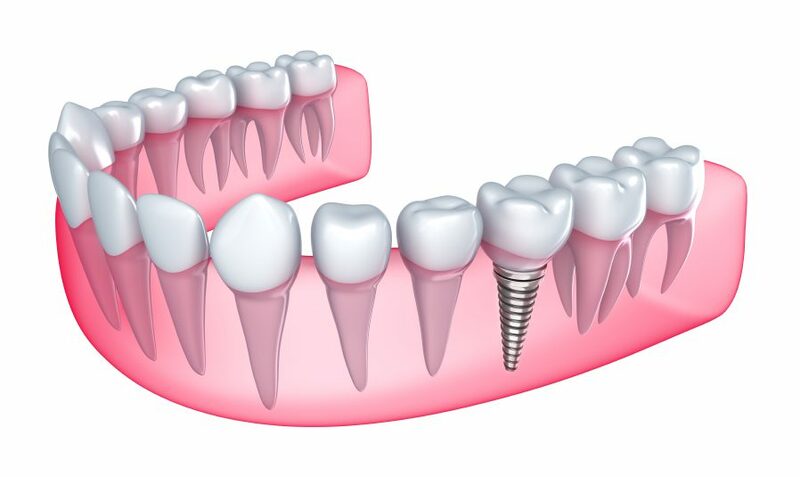 Dental implants are lifesavers for who lose their teeth or tooth due to aging or accidentally. Losing a tooth can affect anyone so severely. It stops them from smiling in public, taking their favourite food, and more than anything it affects self-confidence. Losing it at the young age is worse. An implant could be the best solution to fix all the problems. Most people choose to have implants rather than dentures due to its immense advantages. But how well will it go with your other natural teeth is the common question that arises. The significant advantage of affordable dental implants cost is that they can be fit around the existing teeth. This means you don’t have to have any of your natural teeth removed to have an implant. An artificial tooth root will be fitted to the jaw which will secure the false tooth. This means that an implant doesn’t need to be anchored to the existing natural teeth like the bridges. This makes dental implants a more hygienic option for replacing a missing tooth. The dental implants will look and function effectively as regular teeth. It also adds structural support to the surrounding natural teeth, as well as taking on some chewing exertion, so the natural ones no longer overwork. Will Dental Implant Affect The Natural Teeth? No! The implant fits in the place of the missing tooth between the natural teeth. You can retain as many as natural ones you have along with the affordable dental implants cost. The implant will sit in the gaps filling them giving a natural looking and functioning artificial tooth. Will Dental Implants Match The Shades Of The Existing Teeth? Yes! Dental implants fitted to the jawbone stands as the post to hold the artificial tooth structure. This is made by comparing the shades and with the impression of the existing teeth. With the affordable cost of dental implants one gets not just a tooth but the one that exactly matches the natural one in shape, colour and position. Even their close friends will not know they are having a dental implant unless they say it themself. The dentist would give detailed information on how to care for dental implants during the healing process. The good news is, after the recovery phase one can care for their dental implants the same way as they care their natural teeth. Say, brushing and flossing teeth twice a day and cleaning mouth after every meal. This cuts out any extra hassle with implants and makes life easier. The dentist will also have check-up appointments to ensure the dental implants are healthy as it should be. Dental implants in Sydney can make a real difference in anyone’s life by increasing their confidence in the smile and improving their ability to speak and eat properly again.